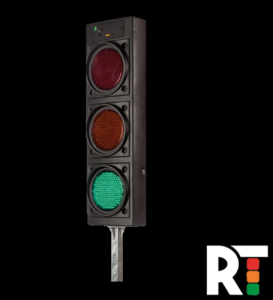 At Roadside Technologies we have a large fleet of traffic lights available for hire. Within our fleet we have the latest LED traffic lights available for both short term and long term hire. Designed to keep traffic flowing through temporary traffic management or events, our lights can run autonomously for up to 21 days. All equipment comes with direct remote 4G connection to monitor GPS asset tracking and also battery voltages as standard. This removes the need to pay for costly and unnecessary battery changes when not required. Fitted with the latest detectors and radios, our Traffic Lights can link directly in a multiphase system or complex junctions. Each unit can be set as a master or slave to minimise set up time. Our traffic lights can either be delivered to customers individual depots or direct to site and installed. We have a large stock of brand new LED traffic lights for hire and sale nationwide. Hire options available for both short term and long term requirements. For more information or to request a quote against your current supplier please contact us.